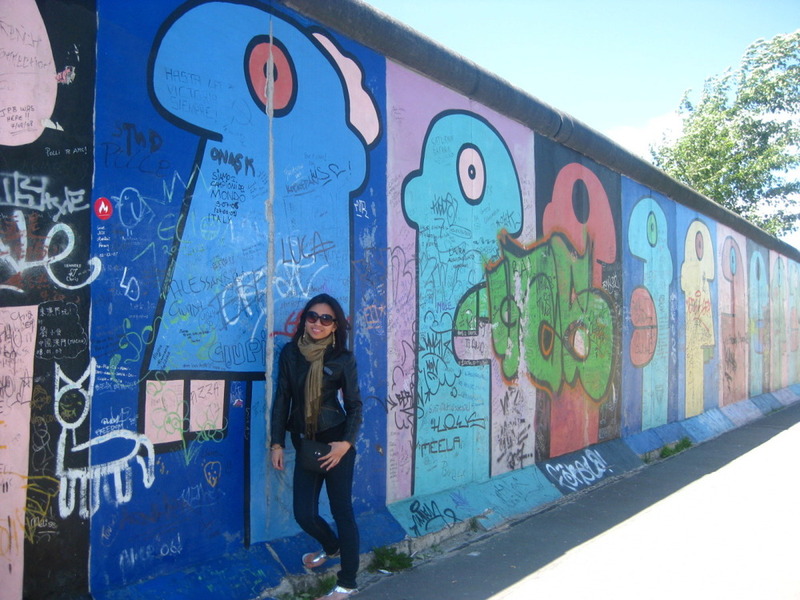 Walking around the Brandenburg Gate, the East Side Gallery, or Checkpoint Charlie, I remember trying to imagine what it must have felt like to live during those times. Picturing this massive wall just running all throughout the city...it was surreal and as hard as I tried, I just couldn't fathom it. A couple of my friends and I took a trip down to the Checkpoint Charlie Museum and we spent half the day just reading all these clippings and staring at these old artifacts and photos depicting the times and how people tried so hard to escape. I'll never forget this one plan where a West German man attached two or three suitcases together in which his East German girlfriend would hide as he tried to smuggle her across the border. I remember standing there thinking, "are you for real?! "...to think that someone would even have to think of something like that is just beyond me. Then there was the time we were walking on the East German side of the Brandenburg Gate and there was this little area.. I forget what it's called now, but it was a little kind of memorial for the many people who tried to cross the borders but failed. A bunch of white crosses lined up one after another with the names of so many ill-fated young East Germans.